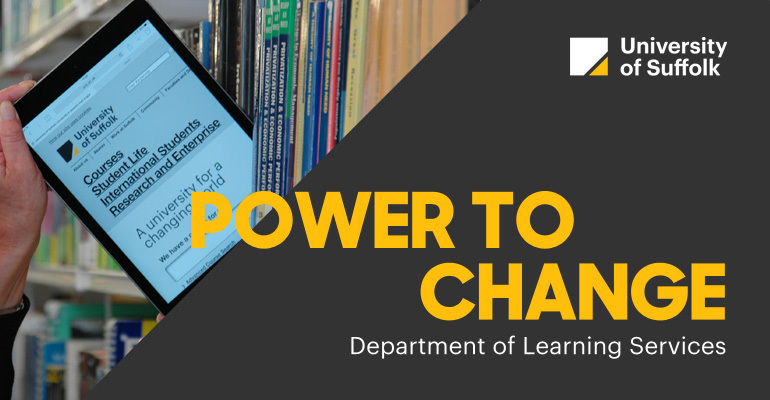 The Department of Library and Learning Services is at the heart of the academic journey for all University of Suffolk staff, students and researchers. We work in conjunction with course teams and other professional services colleagues across the institution to ensure your time at Suffolk is as successful as possible. Each course has a dedicated Librarian and Academic Skills Adviser to help you in your studies. The team support the institution in growing as part of a digital society, to make sure that digital is ubiquitous to the academic journey. In order to support the personal effectiveness and professional development of our emergent research community the department offers a number of support mechanisms. Meet the people that make the Department of Learning Services the heart of the academic journey for the students at Suffolk.